This smart Ezpeleta Striped Ladies UV Parasol with built in sun protection is both beautiful and practical. 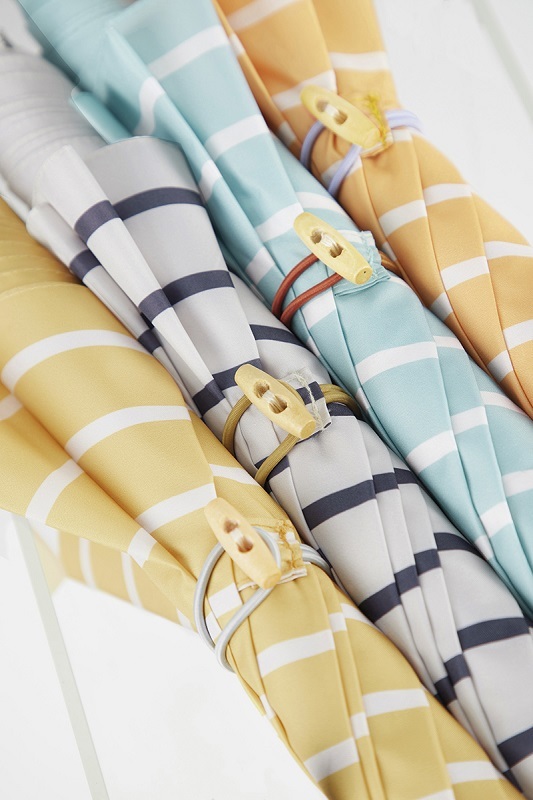 Great for both sunny and rainy days. 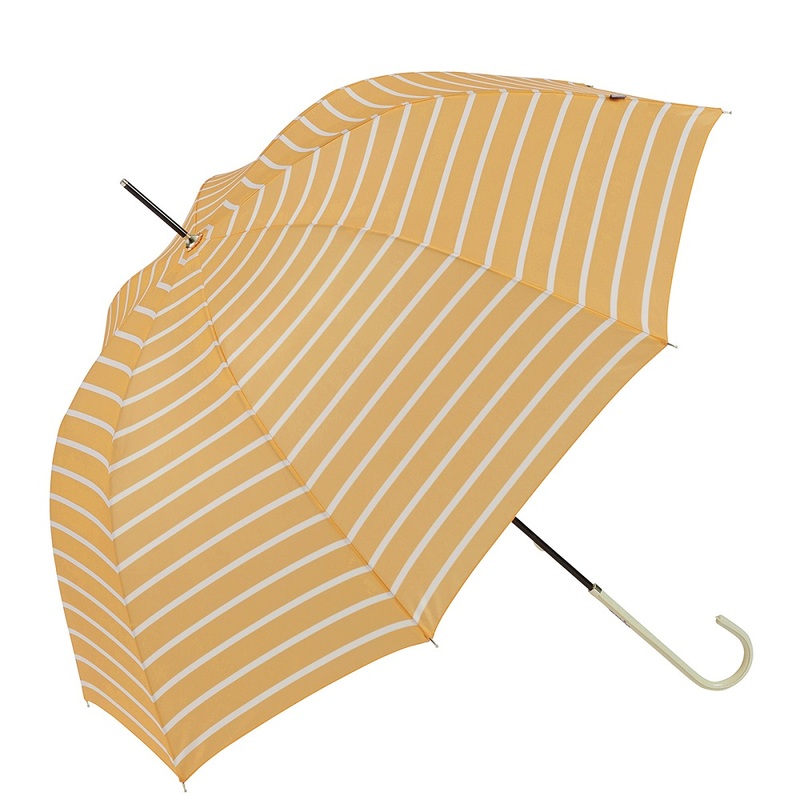 Here we have the Ezpeleta Striped Ladies UV Parasol. 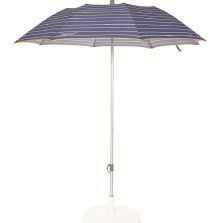 A brand new addition to our range of sun umbrellas. 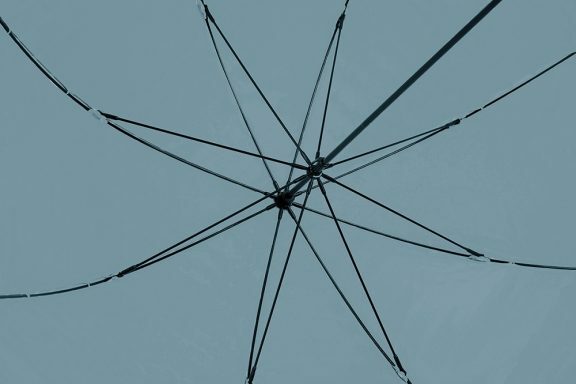 Sometimes an umbrella comes along and you just know that you are looking at a high quality product that looks great and has had plenty of thought go into the design. This is one of those umbrellas. There are so many great features its hard to know where to start. We’ll start with the fact that this stunning umbrella has built in UV protection and is UPF 50+. 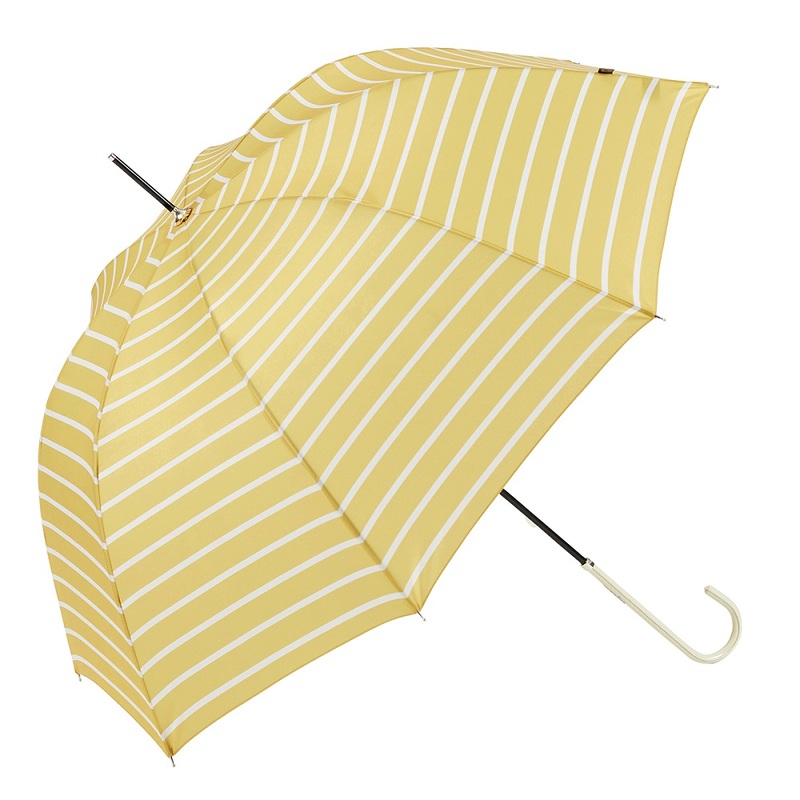 This doesn’t mean you can only use it in the sun though, it is fully waterproof and windproof! 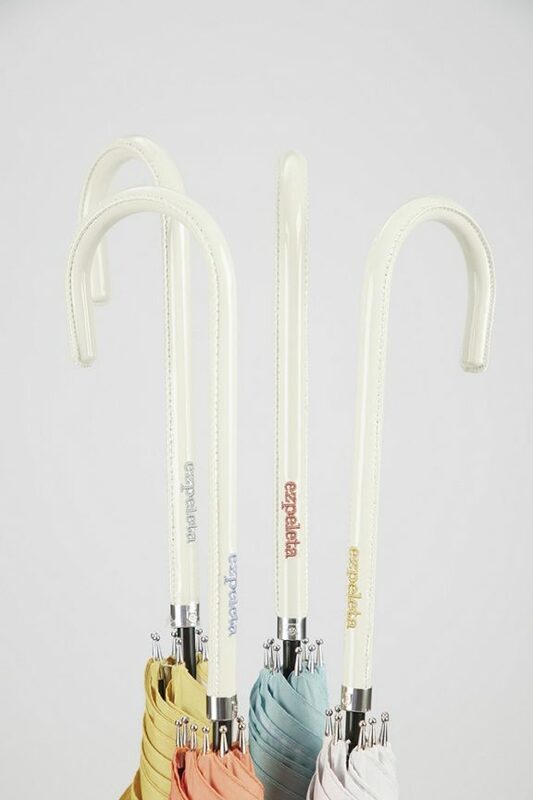 It has an elegant leather effect crook handle with stitched branding and contrasting elasticated wrap, secured with a wooden toggle. 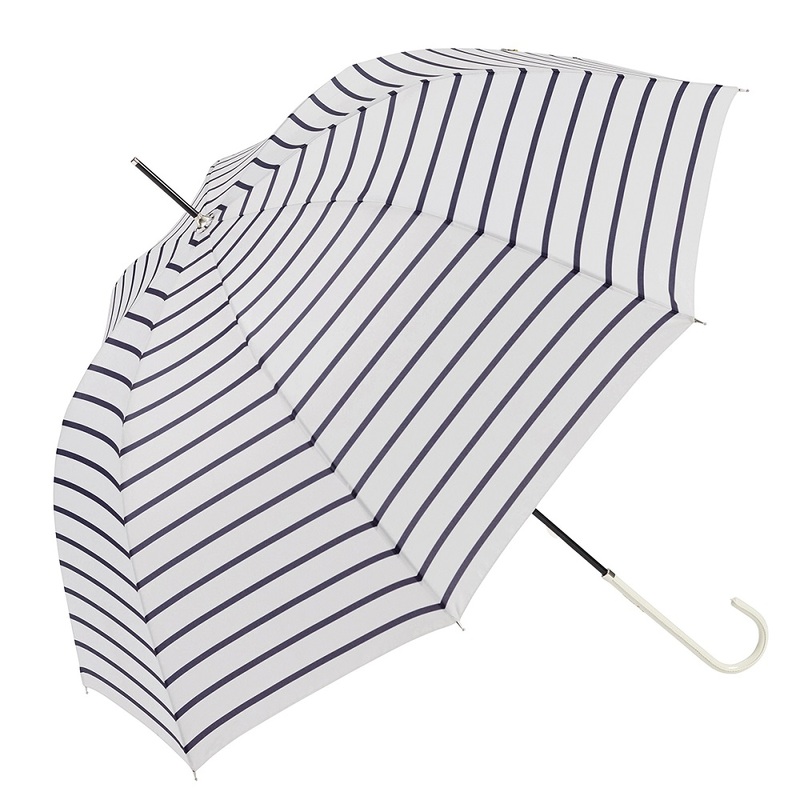 The canopy has a smart Breton running around and just oozes class. Available in 4 colour choices: White with Navy stripe, Orange with White stripe, Yellow with White stripe and Blue with White stripe. This UV umbrella is quality through and through! We think this umbrella is pretty near perfect, but, if it’s not what you are looking for then why not take a look at the rest of our Ezpeleta range? Just click here.